JACKSONVILLE, Fla. - It's unclear if the driver of a black Jaguar was ticketed after the luxury sedan crashed through the side of a Murray Hill liquor store Wednesday night. 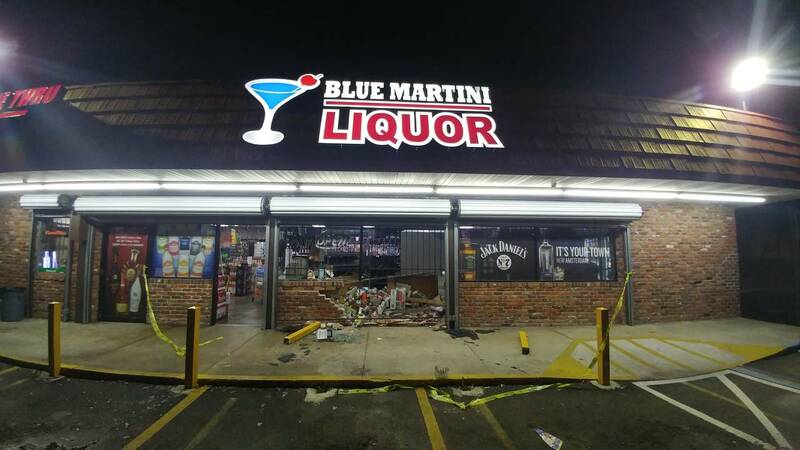 According to an employee of Blue Martini Liquor, around 7:45, the car careened through glass and a brick wall. The employee said seconds prior, a customer had just walked down the first aisle, which was later filled with debris from the crash. The driver of the car was taken to the hospital, but later returned to the scene to speak to police, the employee said. The driver then got in a car and left the area.